When infringement or wrongdoing is alleged against a corporation, where are we to look for the imputed reprehensible conduct or knowledge on which the case must depend? This is a question that is asked and asked again as each expansion and intensification of corporate activity gives rise to ever more complex issues of accountability and responsibility. 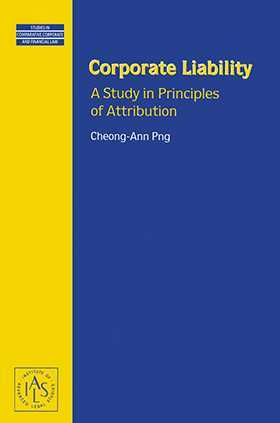 This major new theoretical study builds on classic and recent work in the field to provide a systematic and coherent analysis of corporate liability in its current context. Focusing on rules of attribution developed in a notable series of English cases, the author explains in detail the various ways in which these rules may be applied in civil, criminal, and regulatory proceedings against corporate defendants. The book exposes the circumstances in which corporations, as legal persons, may incur personal liability for the acts or omissions of their servants or agents that were carried out in the course of their employment, defining the means through which corporate liability must be determined. It focuses on the personal liability of corporations, incorporating common law principles of vicarious liability and agency as well as exceptions arising from the Companies Act 1985 and other legislation. a comprehensive survey of the different circumstances in which corporations, including holding corporations in corporate groups, and their servants and agents may incur liability. Corporate Liability: A Study in Principles of Attribution is far more than a mere legal device for practical purposes. It is in every way a groundbreaking work in the field, of absorbing interest to scholars, jurists, and lawyers alike.